Experience literature created for digital media and interaction. The exhibition at Roskilde Libraries is from 4 October to 13. November with new works . The literature takes new wild forms in these years. Especially the digital literature is gaining momentum abroad and still taking new fun and exciting directions. Roskilde Library has Denmark premiere at over 20 Danish and International digital works by Ursula Andkjær Olsen, Amaranth Borsuk, Ian Hatcher and others. 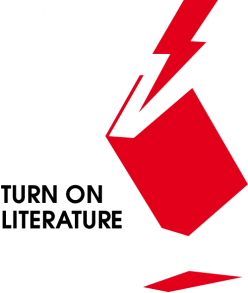 It is probably the largest overall presentation of digital literary works on Danish soil in 2017. “Most people still swear to sit with a physical book in their hands and flip through plots and characters. The e-books have gradually become everybody’s favorite, but literary works that utilize the rich digital possibilities for interactivity with the reader still tempt a life as a niche. We are working on changing that fact. The exhibition is a manifesto of how good works are being created by the digital writers, “says digital developer Martin Campostrini, Roskilde Libraries. 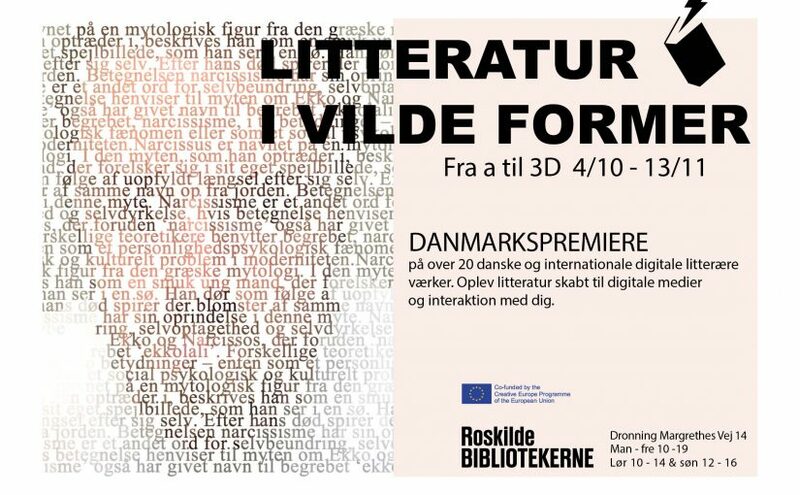 From a to 3D, 17th century books, 3D printers, book art and presenting new Danish digital literature are available. You can make your own poems with poetry based on texts provided by poet Ursula Andkjær Olsen, who currently made a significant debut as a novelist. Artist Julie Dalsgaard Knudsen makes two sculptures of discarded books and much more. “Our exhibition is a great place to surprise you about how literature, books and writing can also look. From a to 3D is a journey through the forms of literature. You may say it’s a bit crazy on the way. At least in the sense that we present a variety of expressions that challenge our classic perception of a novel printed on paper, “says Librarian Allan Thomsen Volhøj. In the exhibition, books are not just books, but also art objects and building materials. Literature is not necessarily read through the scrolling of a book, but click or swipe through the good story. PerspectiveFor some years, it has been suggested that digital literary works will take over from the good old experience of sitting with their printed novel in a safe environment on the couch. However this has not happened yet. But there is a movement going on and in Denmark a number of Danish writers have made exciting offers for digital works since the 1990s.The exhibition at the main library in Roskilde and the five local libraries in the municipality is a consequence of the project management of Turn on Literature. It is a European project supported by cultural resources from the EU’s Creative Europe pool, as the Roskilde Library was the only Danish project management organization capable of obtaining support from 2016. The project is collaboration with the partners in Bergen, Norway and Bucharest in Romania.The Poetry Machine mentioned is an invention from Roskilde’s library, which almost tours as much to Danish libraries as Bob Dylan does on the world’s rock scenes. Brief definition: Digital literature is not e-books, but works that are born digital and make special and conscious use of a digital media. They typically change and require user interaction to make sense.